Lot are sold at a percentage of wholesale value and have historically been very profitable for retail stores and resellers due to these lot's wide variety of items and low prices per unit. Please note that these are a mix between New, Overstock Items, Shelf Pulls, Seasonal Items, and Store Return items, mostly still in retail packaging. We have not tested or inspected these items. This Listing is for the full Lot (Approx. 97 Items). The images on this listing are representative sample of what you will receive. 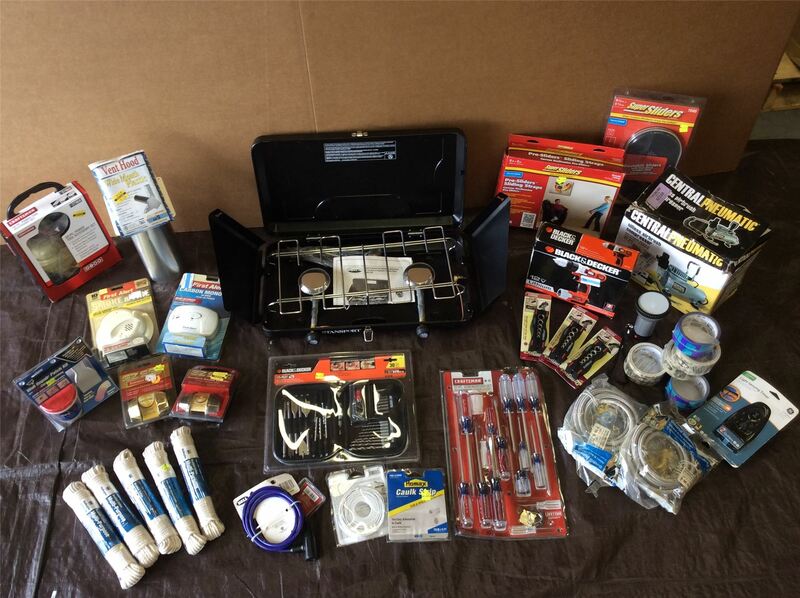 Items in this wholesale lot may include a mixture of the follow: Fire alarms, Locks, Keys, Furniture moving Sliders, Ropes, House numbers, Mailbox signs, Door Knobs, Tools, Light sensor timers, Bolts, nuts, screws, washer and dryer hookups and Much more. Brands may include a mixture of: Black and Decker, First Alert, Craftsman, Bell, EZ Set, Homax, and More. Click the button below to add the Wholesale Lot of Assorted Do It Yourself Items, Hardware, Tools & Home Improvement Items to your wish list.